In most states where contractors must be licensed, there are some insurance and bond requirements that must be fulfilled before the license will be granted. As a contractor trying to get your business underway, you might feel these requirements are burdensome because it’s your business and you should be the decision maker when it comes to insurance products. Quite simply, that sounds reasonable if every contractor would automatically purchase the insurance needed to protect their business and more importantly, their customer. In fact, the state licensing board wants to be protected in case they are sued by one of your customers who feel that you should have never been issued a license in the first place. Believe it or not, insurance is your friend. Laura McRae, an employee at an Arby’s restaurant was taking her break in the designated break area of the restaurant. For reasons unknown, there was a cup containing lye in the break and Ms. McRae mistakenly drank from it and received third-degree burns to her throat as a result. Since the accident took place while Ms. McRae was on the clock, the Arby’s workers’ compensation policy had to pay for her medical bills and any lost wages. A construction worker decided to jump a trench during a lull in the workday and ended up with a broken leg. The injured worker claimed that during a lull in his workday, he and several co-workers moved to an air-conditioned truck to escape the heat and cool off. One of his coworkers who wanted his seat in the truck tricked him into thinking that someone on the other side of the worksite needed to talk to him. After going to the other side of the worksite, the employee, realizing he had been duped, began running back to the truck to protect his seat. While running, he attempted to jump over a trench and broke his leg when he landed wrong. Even though his injury was the result of horseplay, the Supreme Court of South Dakota awarded him workers’ compensation benefits. Mary Sandberg, an employee of J.C. Penney, was walking to her garage from her home when she tripped over her dog and fractured her risk. Since Ms. Sandberg was employed as a decorator and claimed she was going to her garage to get some fabric samples when she tripped over her dog, because she was retrieving work materials that were being stored in her garage temporarily, it made her home and garage her “work environment.” J.C. Penney’s workers’ compensation carrier was forced to pay her medical bills and lost wages because she tripped over HER dog at work. 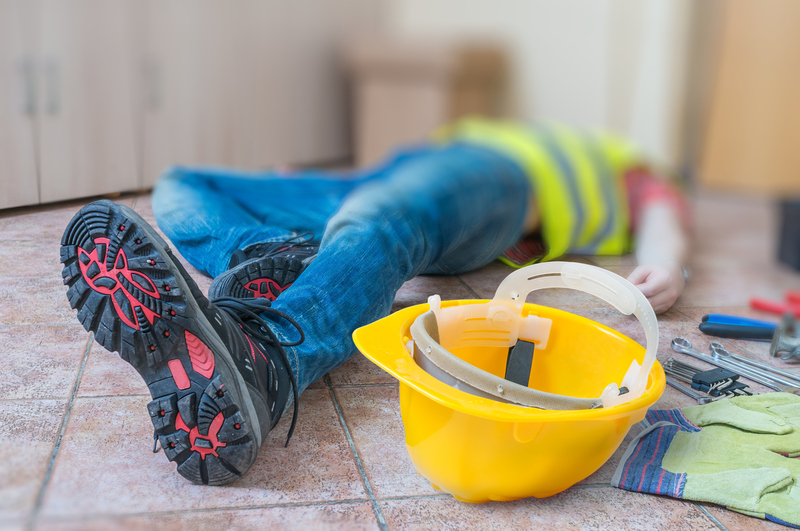 If you are a contractor reading this, be forewarned, if in each of these cases, the employer did not have workers’ compensation to protect their business, the business would have been liable for the medical expenses and lost wages of each employee. Yes, being forced to buy workers’ compensation insurance may be expensive and burdensome, but just think about the consequences if you don’t.